We’ve been using essential oils (EO’s) and herbs for years for various things. I was first introduced to oils about ten years ago by my midwife who was also a certified herbalist. She killed me with her vast knowledge. I wondered if there was any ailment or injury that she didn’t know how to treat with herbs or oils. When my son smashed his thumb in our van’s sliding door, I took him to the doctor. There was really nothing they could do. She told me I could put aloe vera on it from the leaf of an aloe vera plant. I’m like, seriously? I have since used the gel from an aloe vera plant many, many times. So much that our plant is now gone! I thought the leaves would grow back but they didn’t! I’m having a hard time locating another one. Whole Foods had them last month but now they are gone. Will have to visit a tree nursery or something. Home Depot may even have them. Place the plants where they will get some sunlight and don’t forget to water them. I didn’t have to water mine that often. Maybe once a week. You don’t want to over water an aloe plant. Just check the soil. If it is dry, go ahead and water. Also get a pot that has drainage holes at the bottom and if you can, use potting soil with sand in it like that in a cactus potting soil mix. When my 3 year old gets hurt, she goes directly to the aloe vera plant and asks for a leaf. 🙂 I just break off a small piece of a leaf (maybe two inches) and squeeze some of the gel out. We use it to treat sunburn, burns, bruises, cuts, mosquito bites, bee stings, itchy, red, burning eyes (on the outside of the eyelid), skin rashes. Can be used as an aftershave gel, used in the hair as a conditioner to increase shine, on the face to help treat acne or decrease wrinkles. Aloe vera is found in many facial products. We use it for any kind of skin issue. It protects against scarring and stretch marks. Can be used on teeth to help strengthen. Can be taken orally to reduce blood sugar (helpful for diabetics), and it aids in digestion. We have some aloe vera juice and take 1 TB to help with constipation. It is an antiseptic, kills bacteria, fungus, and viruses. Helps heal wounds faster. It has so many healing properties that scientists are looking into its benefits to treat cancer and AIDS patients. Read more about aloe vera here. My midwife also used oils to help induce my labor. My daughter was born two weeks late. I was having a home birth so no pitocin for me. She tried various oils on my cervix to help induce labor. I believe they were evening primrose oil and black or blue cohosh. She first tried them when I was 5 days late. Nothing happened. She said the oils will only work if the baby and my body were ready to deliver. Apparently she was not ready! So, we waited. About a week later, we tried again. This time, success! You can read my daughter’s full home birth story here. But I went into labor just a few hours later. After only 3 hours of very mild labor, my water broke and I immediately felt the need to push. Luckily I was already in the bath and we delivered her on our own, while my midwife was en route. So, was I an instant believer in essential oils? Absolutely! With my next pregnancy, my midwife made labor teas out of herbs which I drank during my last trimester, during labor, and postpartum which really helped things as well. Just be careful with essential oils and herbs during pregnancy and only use them under the guidance of your midwife or doctor. Certain herbs and oils you want to avoid until your last trimester as they could induce an early labor. The next oils I was introduced to were lavender, peppermint, eucalyptus, and tea tree oil (also known as melaleuca). My midwife introduced these to me as well. She sold me a nice diffuser. I paid about $80 for it. Can’t find it right now! A diffuser is like a small humidifier made for essential oils. It shoots out steam or water vapors in the air. You can put up to 6 drops or so in a diffuser (read the instructions on your diffuser) and usually diffuse for about 30 to 60 minutes at a time. Below is a picture of a diffuser that Young Living sells which is included in their starter kit. Separately it costs close to $100. I bought a cheaper one at my health food store for about $35. It’s a NOW brand. I had a son who was extremely hyper (wonder who that could be! – that was before we started Feingold). So, she suggested I diffuse lavender to help calm him down before bed. Lavender is also great to treat sunburn or any kind of burn. I use it with aloe vera gel as the carrier oil as aloe vera also helps with burns. Lavender will help heal and prevent scarring too. Can also use lavender to treat mosquito and tick bites. I sent my son with a sample size bottle of lavender and some coconut oil to camp with him this summer. He didn’t use it personally but had his friend use it. He said by the next day, all of his mosquito bites were almost gone. They said it worked great. I forgot to send him some cotton balls with it, so he said they just used a sock. OK, whatever works! We also used tea tree oil to kill germs and viruses in the air and eucalyptus and peppermint for colds. Just be careful with peppermint around babies as it can inhibit breathing. I believe eucalyptus is the same way. But, both are good to help open up the lungs and nasal passages. I’ve diffused peppermint and lavender when my daughter was sick to her stomach. We’ve also been told by our DAN (Defeat Autism Now) doctor that we could put a drop of peppermint oil (dilute first with some coconut oil) over the liver area to help with headaches. It helps detox the liver to alleviate headaches. It’s also supposed to help with fevers as well. I would rub on the sole of the feet for that, or you can diffuse the oil. Peppermint also works as a digestive aid. My daughter LOVES peppermint anything. She drinks peppermint tea all the time. Loves peppermint gum, peppermint candy canes, anything peppermint. I use peppermint flavoring which is made from peppermint oil when I make chocolate candy sometimes. She loves it. Recipe here. Ants, spiders, and mice don’t like the smell of peppermint. You can place cotton balls with a couple drops of peppermint on it wherever you are getting mice and it should keep them away. You will have to replace the cotton balls every two to four weeks though as the smell wears off. My friend Christel posted a recipe for homemade bug spray that she uses. I made it and it worked pretty well. You do need to re-apply it it seems every couple of hours. But I’ve sprayed it directly on bugs and they die instantly. She used it to spray bee hives and the bees did not return. I did the same thing and the bees did not return to mine either. I also use this spray on ants sometimes. It kills them instantly. I spray it where the ants are coming in at. It keeps them away for a while but you’ll see some of them running for their lives right when you spray so you’ll have to do some clean up. I was getting ants on my counter so I sprayed a wet paper towel with this bug spray and wiped down my counter. Otherwise, I use corn meal to kill ants. The ants eat it and take it back to their friends. They can’t digest corn meal so they eventually die. This can take a couple days to a couple weeks to completely get rid of them as they all have to eat it. So it depends how many of them there are. I did notice though that there are different types of ants. I got rid of the one type of ants with corn meal, then a few weeks later noticed we had a smaller faster type of ant invade my kitchen. For some reason, they did not like the corn meal! Didn’t touch it. Maybe their deceased friends warned them before they died. Below is the bug spray recipe. (I altered it some. There are tons of different variations of bug spray on the Internet as well. I like this one because I already had these oils.) Here’s a link to some more bug spray recipes. Please also read up on how to safely use essential oils, especially for young children. And avoid using essential oils in your first trimester of pregnancy. 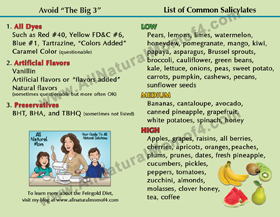 I would suggest joining the Facebook group, Safe Essential Oil Recipes to learn more. I used a 2 oz spray bottle. (I got one of these at my local health food store). It’s best to use a dark glass bottle. 2 TB (1 oz) organic olive oil (as a carrier – moisturizes and disperses essential oils). You could also use melted coconut oil if desired but it will need to stay warm or it may solidify, unless you use fractionated coconut oil, which will stay liquid. I used 1 TB of each. Finish off with 1 TB rubbing alcohol (I used witch hazel) and shake and spray. The alcohol or witch hazel helps the oils to stay dispersed instead of the oils rising to the top and separating from the water. Whatever oils you use you want about 20 drops of oils to 2 TB of your carrier oil. For carrier oils, jojoba or sweet almond are often used. I don’t have either of those yet. Or coconut oil is good too. My friend used olive oil because her kids are allergic to coconut. Olive oil is a little greasier. How many drops you use will determine how strong the bug spray is. If you are using it on younger children, you can go with the lower amount suggested above. Be careful with eucalyptus and peppermint if you are using for younger kids and babies. If you want to use the eucalyptus for kids, make sure you use E. Radiata, not E. Globulus. I just left those out and the bug spray still worked well. For a tick repellant as well, you can add red thyme or rose geranium. Add 4 TB (or 2 ounces) of water and shake. Tea tree oil (or melaleuca). I would not be without tea tree oil in my house. We have used it many times to treat all kinds of skin issues. Tea tree oil is great at killing yeast/candida and fungus. It will kill foot fungus/athlete’s foot, ring worm, rashes or any kind of fungus on the skin. Make sure to dilute it with coconut oil, or I’ve even just used water too. You only need one or two drops of it. I put it on a cotton ball. It doesn’t smell great but works awesome. My son has had ring worm a couple times and within a day or two it was gone with just an application of tea tree oil at night. We continued for a couple days after it was gone. Sometimes foods will cause diaper rash too though. For my daughter, certain fruits gave her diaper rash for some reason. But, with any skin rash, I just try different things. If tea tree oil doesn’t work, I’ll try oregano. If the oregano works and the tea tree oil didn’t, then I figure it was probably a bacterial infection and not a yeast issue. If neither work, then I figure it is a food issue and I keep a food diary. That’s how I figured out what my daughter’s diaper rashes were from. For my oldest, he reacted to the chemicals in his diapers and we went through many diapers until we found one that he did not get a rash from (Wal-Mart’s White Cloud brand – this was before I started using cloth diapers). Ladies, you can use it with coconut oil to treat yeast infections. Works great. Don’t use it internally if you are pregnant though. It kills germs in the air if you diffuse it. I use it in some of my homemade cleaning supplies, especially for the bathroom. See my homemade cleaning supply recipes here. 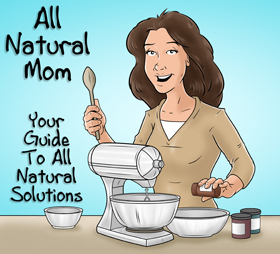 I love the book, “The Naturally Clean Home” by Karyn Siegel-Maier. I had to have my library order it for me. I’m going to buy it. Tons of great cleaning recipes for just about anything, using essential oils. One thing I just learned is that lemon oil can eat through plastic so you should always use glass bottles when storing essential oil mixtures. Did not know that! None of my plastic bottles have fallen apart on me yet though. You can also use tea tree oil on mosquito bites. I used it this summer and it worked great. By the next day, the bite was down considerably and barely itched. By the second day, it was almost gone and didn’t itch at all anymore. You can also use lavender on bug bites, or a combination of both. Use a carrier oil such as coconut oil with it to dilute it. Next oil – oregano! I learned about Oil of Oregano (OoO), as we call it in the biomed/autism community when I started researching biomed and ways to treat autism. Oreganol is the name of the liquid form I buy. I use this when applying topically to warts or to skin that looks infected, or you can rub it on the bottom of your feet and your body will absorb it. Oregano is my go to when my kids are sick. We usually only need to take it for a day or two, and they are already starting to feel better. We take one a day before a meal. The gel caps are small enough that my 7 year has no problem swallowing them. If your kids can’t swallow pills, just rub the oil on their feet. You can also open up a capsule and use the oil that way too. I get the gel caps for taking internally. They contain 6 drops of oregano oil. Take before a meal or you will be belching oregano. Doesn’t taste very good. We use the North American Herb and Spice brand which costs about $25 which seems expensive but I have avoided trips to the doctor ($35 copay) and prescription antibiotic many times by using this instead. So, money worth it in my opinion. I get it at my health food store. You can probably order online too. I plan to order some oregano from Young Living or doTerra soon to try out theirs. Oregano is another oil I would not go without. Oregano is great at killing bacteria, fungus, and yeast. I use it in place of antibiotics, especially topically. Of course, in some cases I still resort to regular antibiotics but when I can, I prefer to use oil of oregano. If I do need to use regular antibiotics, I usually still take the Oil of Oregano along with it (and I usually don’t take antibiotics for the entire duration they suggest, but that’s me). I just learned that oregano can also be used to get rid of warts, as well as moles and skin tags. I did not know that. We’ve used lysine with success to get rid of warts when nothing else worked. I give my kids 500 mg a day. Can do more. My neighbor used 2,000 mg and it got rid of them faster. But start with 250-500 mg first and you can work up from there if you want. We had success with 500 mg so we just used that. Depending on the type of wart, it can take anywhere from 2 to 8 weeks using lysine. For plantar warts, my son’s fell off in two weeks. It will get worse before it gets better (it will get bigger, turn black and itch) as the lysine is pushing the wart out of the body. Warts are a virus so you need to get the virus out by taking something internally as well. Lysine kills viruses. I’m thinking oregano gets absorbed by the body so that helps get rid of it internally as well as externally when you apply it to the wart. Viral die off will cause an increase in yeast so also increase your yeast protocol. See my post on yeast. Molloscum (spreading warts) took about 8 weeks to get rid of completely. My daughter had a ton. Couldn’t get rid of them for almost a year until we tried lysine. We applied tea tree oil and that worked a little bit to help keep them from spreading but it didn’t get rid of them completely. She had one that got infected pretty badly so I took her to the doctor again. They told me warts will just go away eventually on their own within a year or two. They didn’t! They kept getting infected too. They gave her a prescription antibiotic cream. That didn’t work so I looked online for natural treatments. I learned about oil of oregano and used that and it got rid of the infection right away AND the wart! This is when we started using lysine as well so I didn’t realize that the oregano probably helped get rid of the wart as well as the infection. Warts are a virus. If you are getting warts, it means your immune system is down. Oregano helps to boost your immune system as well. My neighbor had taken her daughter to the doctor to have her wart burned off. It was painful and about a month or so later, it came back! That’s when she tried lysine and within two weeks, it was gone! Ear oil. My midwife suggested Wally’s Ear Oil when one of my kids had an ear infection. Love this stuff! GNC has this brand. Otherwise you can get other brands at the health food store or Whole Foods. Since using this, I think we’ve only had to use antibiotics once for an ear infection, and that was only because my son had just suffered a grand mal seizure and I didn’t want to risk him getting another fever. Otherwise, at the first sign of an ear infection (pulling on the ear, etc. ), we use an ear oil made with essential oils, about twice a day. There are various brands out there now but most include garlic, tea tree, mullein, and a few other oils. These ear oils usually expire within a year or two though so don’t forget to replace them. They have the expiration date on them. You can make your own oil too using crushed garlic and olive oil if you don’t have any ear oil in the house. I like to just buy it because it’s available quicker when I need it. I’ve used this oil as well and it really does work. Takes away the pain within 20 minutes. I’ve had my kids crying and crying from an ear infection. Use this stuff, and they’re usually asleep within a few minutes, sometimes up to 20 minutes though. It usually takes a couple days of use for the ear infection to go away completely. You can use the ear oil along with antibiotics if you want. It will help with the pain. The key is to use the oil as soon as possible and not wait until the ear infection has gotten really bad. But, even with antibiotics, it takes about 24 hours for it to start working and no one knows if ear infections are bacterial or viral so we don’t even know if antibiotics really work on ear infections or if they are just going away on their own. For sore teeth and gums, my holistic doctor recommended Thieves mouthwash by Young Living. It includes several Young Living essential oils. This one is not for kids. It contains colloidal silver. Very strong. My mouth burns when I use it but it works very well. I had sensitive teeth and this took care of it. If I have a sore throat or cold, I will always use this to help kill the germs in my mouth. Another product I use sometimes is OregaDent. It includes oregano, cloves, and a few other essential oils to help dull pain and strengthen teeth. I used it on a canker sore and sore gums. I put a drop on a Q-Tip. This will burn sometimes but it also has a slight numbing affect. Not sure if I would use it on young kids. You could test and see how sensitive your kids are or dilute it with water too. If you get canker sores a lot, take lysine. Canker sores are a form of herpes virus and lysine kills viruses. Works the same as for warts. You may see the sores get worse before they go away. Your body is just ridding itself of the virus. As you can see, there are SO many uses for essential oils, and they really work! This list doesn’t even begin to scratch the surface but these are the ones we use in our house. As I learn more and more about herbs and essential oils it gives me such a greater appreciation and awe of God that He didn’t leave us here on earth with nothing to treat our ailments. He gave us everything we needed. It’s too bad the medical community has taken such a drastic turn in the last century or so away from using herbs and oils as medicine. When I was I was contacted by Heather Grant , a representative for doTERRA essential oils about doing a review, and testing out some doTERRA oils, of course I said yes! Heather will also be doing a doTERRA essential oil giveaway and hosting a webinar where you can learn more about essential oil uses. Stay tuned for more info. I’ll announce it on my Facebook page, and will post the link here when I have the details. Her e-mail is heathergrantwellness@gmail.com if you want to contact her directly. She sent me some samples and I’ve been using them. Since this post is getting super long, I’m going to do a separate post on our experience with the doTERRA oils, what new things I’ve learned about essential oils and new oils I’ve never used before. I’ll also be doing a comparison of brands, including Young Living. As you can see in some of my pictures above, I have a lot of NOW brand and Aura Cacia brand oils. That’s just because that’s what they sell at my local health food store. But, I’ve learned that those may not be the best to use in all circumstances (for cleaning products, I personally think they’re OK). But, I’ll discuss that in my next post on oils. I will also be testing out some new (to me) essential oils that are specifically targeted to help kids with ADHD. Had to wait for school to start to test those out. I think essential oils are great and can be used to treat many ailments, conditions, and can affect your mood and behavior (see my next post for more info on that). I think of them kind of like natural medicine though. I still believe that in order to be truly healthy, we need to be careful what we put into our body and the environment we live in and our lifestyle. If we are eating a diet that is full of toxins, EO’s can only do so much. EO’s can be really helpful but you ultimately want to get to the root of the problem. For us dyes caused hyperactivity so using lavender to calm my son only did so much. 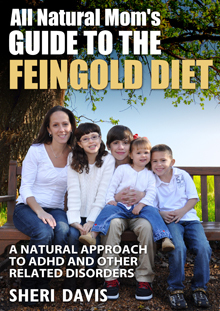 Once I cut out dyes and we began the Feingold Diet, hyperactivity was gone. Dairy caused my kids’ ear infections. Essential oils helped get rid of the pain but eliminating dairy stopped the ear infections from even starting. Tea tree oil can get rid of yeast infections on the skin, but treating yeast internally via diet and supplements and probiotics can help get rid of the yeast problem permanently (Or at least help. Yeast is multi-faceted). So, just keep that in mind. 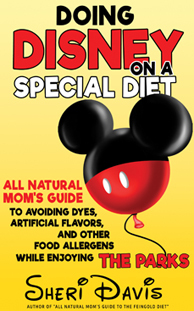 I’m a big believer in diet and how that is a huge benefactor or detriment to our health, but I also know that there are many other factors that come into play in total health including vitamins, avoiding toxins in the environment and the products we use, taking care of our mental and spiritual health, exercise, and essential oils. Time for my disclaimer: I’m not a doctor or herbalist. Please do your own research on oils before using and make sure you are using them safely, especially on kids. Keep oils out of reach of children. Do not ingest oils. See my next post. doTERRA and Young Living oils are a much higher quality and some are able to be ingested but do so carefully and wisely. I don’t sell any essential oils. These are my opinions based on our experience and what we do in our house. If you are on the Feingold Diet, keep in mind that some herbs and oils would be stage two. Some Feingold members suggest not using essential oils until you reach baseline/stage two. Also, some individuals are very sensitive to all types of scents, including essential oils so you may need to test them out. I’ll discuss this more in my next post though. e-book available now on Amazon!